Instagram held its 10th Worldwide InstaMeet earlier this month, and users in hundreds of cities across the world were joined by brands that use the Facebook-owned photo- and video-sharing network. Two of those brands -- the tourism bureau for Australia’s Queensland region and Madewell -- were spotlighted in a post on the Instagram for Business blog. Instagram held its 10th Worldwide InstaMeet earlier this month, and users in hundreds of cities across the world were joined by brands that use the Facebook-owned photo- and video-sharing network. Two of those brands — the tourism bureau for Australia’s Queensland region and Madewell — were spotlighted in a post on the Instagram for Business blog. We’re really excited to see brands participating in this movement to connect face-to-face with the rest of the community. During #WWIM10, @queensland, the regional tourism bureau of Australia’s second-largest state, organized over 90 InstaMeets in Queensland’s cities, on beaches up and down the coast, and in the remote outback. The day started with the first sunrise gathering at 4:30 a.m., progressed through an afternoon of wildlife sightings and ended with Instagrammers coming together for golden hour followed by some communal star-gazing. On a more intimate scale, @madewell1937 recently hosted photo exhibitions for one night in 14 retail stores across the U.S. The brand invited its account followers to stop by and view a curated selection of community photos they had selected on Instagram using #denimmadewell, a hashtag photo contest it promoted through the brand’s Instagram account. 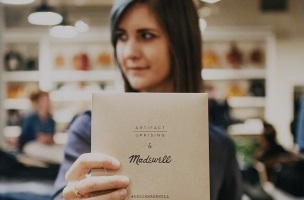 @madewell1937‘s social media team selected six winning photos — featuring beautiful compositions in stunning locations — and partnered with a print studio to produce a set of cards that were distributed to visitors to the in-store galleries. The contest was an incredible way for us to connect and engage with our fans. I was blown away by how creative all of the entries were and thought it was important to celebrate that creativity physically with the gallery show in-store. The result was a 360 experience across all of our channels — something we’ve never done before. Instagram users: Did you participate in the 10th Worldwide InstaMeet?